With the new 67 number plates released in September, there can always be a great temptation to go out and buy one of the latest cars to roll off the production line. New cars offer many benefits, given they shouldn’t have any problems in the first few years, include the latest technology and look incredible. Yet the used car market is even bigger, full of excellent vehicles for sale and there are many reasons for purchasing a second-hand model. Arguably the biggest financial risk when buying a new car is that you will lose out a lot when it comes to selling it on at a later date. The average car loses 15 to 35% in value during the first year of ownership and around 50% or more over three years. By purchasing second-hand though, this drop in value will have already occurred. Plus, depreciation slows down the older a car gets so you will be minimising this risk, especially the lower the price. Many of the most desirable car brands and models attract high prices when they first go on sale. 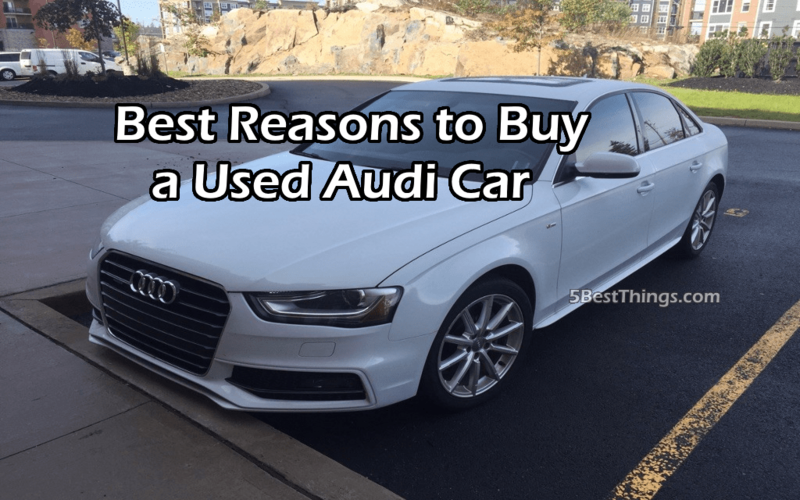 Due to depreciation, wear and tear and drivers wanting to sell, you can find and buy the likes of used Audi cars, a BMW, convertibles and even sports cars at much more affordable prices. Simply browse second hand car sites to see what bargains are around the corner. The UK government introduced new car tax rates, meaning that all vehicles registered after 1 April 2017 are eligible for them. Under these stricter categories, only fully-electric cars are exempt for car tax fully. However, older, used models stick to the previous rates, which means in many cases they will be cheaper to tax. There are plenty of new cars out there, but the used car market is far bigger. From customised vehicles to classic models, in a variety of colours, trims and styles, pretty much anything you want can be found, at a much lower price as well. Discontinued models can prove a real gem for some drivers too. The amount of money you save buying a used car compared to a brand new one, can be used elsewhere. Whether you’re saving up for a new home and have had to make an emergency car purchase, want to go on holiday or just save, this makes it possible. If you’re thinking of buying a fresh vehicle, consider all these good reasons to opt for a used rather than new model when you come round to it.